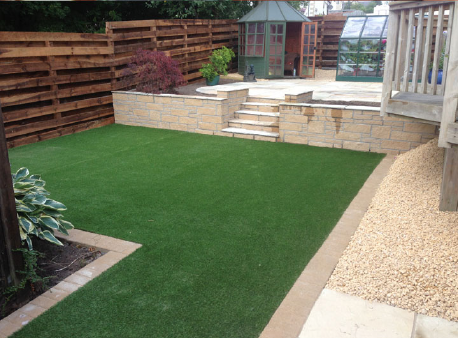 Artificial grass is growing in popularity across the UK with its year round colour and low levels of maintenance; it's a perfect landscaping solution. Artificial grass can transform how you use your garden and you’ll soon fine that you spend more time enjoying and relaxing in your garden than having to manage and maintain it. It's both child and dog friendly so don’t worry if you think it wouldn't be suitable for your family. We work with Namgrass to supply our customers with the highest quality artificial grass possible that won’t hurt children if they fall over nor will it harm your pets. There are a variety of artificial grasses to choose from that cover all budgets and come in a variety of shades to ensure that your grass is the perfect shade of green you want. 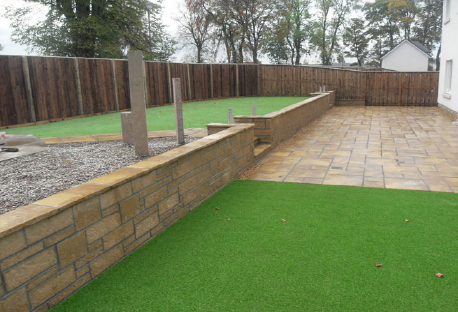 Get in touch today for a consultation on what style of artificial grass may be best suited to your and your needs. Composite products are items made up of either a dual layers or dual composition. 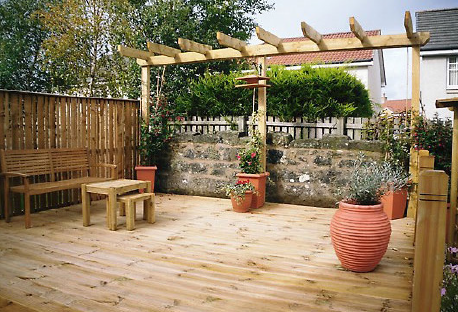 Composite decking is a combination of wood and plastic and is used for decking to help prolong the lifespan of decking. The durability is enhanced as the plastic element helps add stiffness to the decking boards, meaning they don’t swell and shrink in the rain or sun like 100% wood board would do. 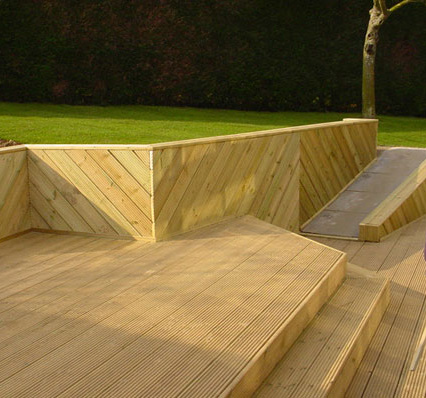 The dual composition reinforces the product and ensures that the decking is as strong as it can be. Not only that, by combing wood and plastic, means that the decking product is lighter and easier to install. Not only is composite decking more durable, it is considered safer as non-slip technology is more advanced and more effective on this material. All the while, the composite decking looks as beautiful as 100% natural wood decking, so if you are really after a natural look, this can still be achieved. If you would like to find out more about composite decking, or get a quote for the work, get in touch today. Services and products: arbours, argent paving, barbeque and entertainment areas, block paving, building walls, casarta paving, coach house paving, concrete paving, decking, drainage, driveways, driveway block paving, entertainment areas, fairstone paving, fences, fencing, firestone paving, garden design, gates, gazebos, granite paving, heritage paving, indian sandstone, landscape gardening, landscaping, lawn care, lawn sprinkers, laying patios, limestone paving, marshalls block paving, marshalls driveways, marshalls paving, natural stone steps, natural stone walls, ornamental ponds, ornamental water features, path edging, paths, pathways, patio jointing, patios, paving, paving circles, paving octants, pendle paving, perfecta paving, permeable paving, planting, raised beds, regent paving, retaining walls, richmond paving, slate paving, stone paving, textured utility paving, timber decking, turfing, walls, water features, weatherpoint paving, wildwood paving, woodstone paving.